There's no doubt Tesla vehicles are ever-changing. Those that follow the segment are likely aware that Tesla doesn't rely on traditional model years. This means that its vehicles are continually adapting as new hardware, software, and other technology become available. The software updates happen "over the air," while other changes are made during vehicle production. This YouTuber takes an in-depth look at an "old" Tesla Model 3 versus a newer one. How do they compare? Teslatunity looks at a first-production, rear-wheel-drive Long Range Model 3 with a VIN under 6,000. Sharing a driveway with the "old" car is a new, dual-motor Model 3 with a VIN over 101,000. The host also points out that the cars are about seven months apart in age. While it may be interesting to try to provide a written description of each change, there's no better way than video to actually show the variances side-by-side. The video focuses primarily on interior changes, although the UV coating situation is addressed as well. Watch the video to learn about the variety of differences between these two cars. Some seem to be positive, while others not so much. It all comes down to your opinion and priorities. Let us know what you think in the comment section below. 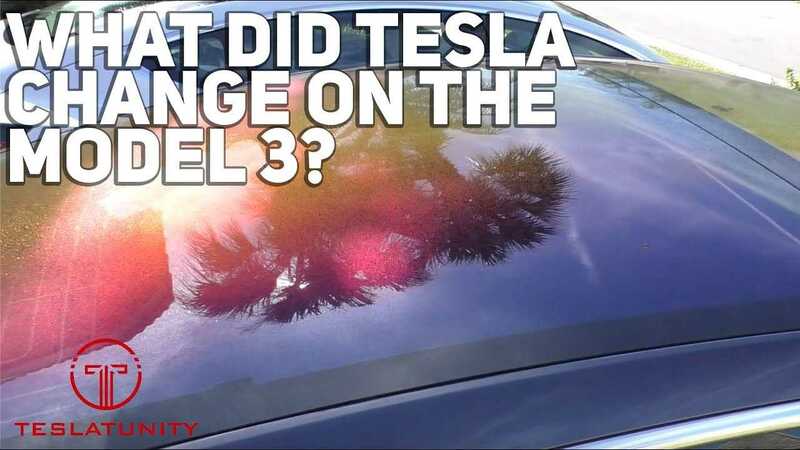 What Did Tesla Change on the Model 3?